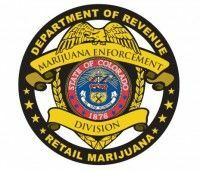 Colorado’s Marijuana Enforcement Division (MED) wants to know if retail cannabis shops and medical dispensaries are selling to underage customers. 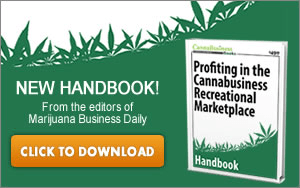 So the division – which oversees the state’s cannabis businesses – is rolling out a secret shopper program to test the industry. In the coming weeks, the MED will send under-21 consumers to retail shops to tryand purchase marijuana. It will also send operatives to medical dispensaries to attempt to purchase cannabis without an official MMJ card. The MED calls the plan the “underage compliance program,” and officials said that it is modeled after similar compliance programs used in the liquor industry. Selling to an underage secret shopper could land a dispensary or retail owner in hot water. The offense is listed under the MED’s “Public Safety Violations,” and can lead to a temporary or permanent loss of an operational license. The MED’s secret shoppers will show employees their legal governmental identification, which shows they are underage. And Kammerzell said the MED will let business owners know that secret shoppers will be in their area. The program represents a change in focus for the MED, which has spent the last months preparing the industry for recreational marijuana. Kammerzell said that the division’s manpower has gone to distributing the MITS inventory tracking system to businesses and overseeing occupational licensing for marijuana employees. He said the division did not have the funding or the manpower to attempt this program in previous years. Kammerzell said that punishment for selling to an underage operative will be dealt with on a case-by-case basis. Marijuana use by kids has become a national story line as more states have passed medical and recreational legalization, and the topic has long been a rallying point by political opponents of cannabis. In November, undercover cops in Grand Junction, Colorado, said more high school kids are bringing large quantities of marijuana to school. And in February, a news report said that high school students in a Colorado county are smoking vaporizer pens at school. But police and lawmakers across the U.S. have tried different tactics to curb the problem. In 2010 Michigan police used fake patient cards to purchase cannabis from a medical dispensary, which prompted cops to raid the dispensary. Michigan cops used the tactic again in 2012, however charges against the owner were dismissed after a judge ruled that cops had violated entrapment laws, because their patient cards and other documents were forged.